To create a memorable photograph of a family group or couple, proper co-ordination is essential. The goal of a portrait is to direct the viewer’s attention to the face or faces in the portrait, so you should choose colours and clothing carefully. These guidelines will help you to prepare for your portrait session. Everyone in the portrait should dress in shades of the same colour so that no one stands out because he or she is dressed in a lighter, darker or brighter outfit than the others in the portrait. Simple, long-sleeved garments in medium to dark tones of brown, burgundy, green or blue are good choices. Clothing can be formal or informal. A formal dark velvet dress or a casual denim outfit will direct the viewer’s eye to the faces, especially when photographed against a dark background. The same is true for simple white or pale pastel clothing photographed against a light background. If brothers and sisters are to be photographed together, they should wear similar colours and styles. Bold stripes, plaids, checks and prints – these patterns can be confusing. Bright colours, which draw the attention away from the faces and could ruin a portrait. Light and dark tones together, which create visual confusion. Why invest in good photographs? When people are asked about the possessions they treasure most, most of them say they value their photographs above all. In addition to recording the most important events in a family’s life, photographs are often difficult or impossible to replace. A good piece of photographic art or a family heirloom will become more and more valuable to its owners over time. A good portrait is a good investment, not only in monetary terms but also for the memories it preserves. I am a portraitist. I make fine art for wall decor and custom furnishings for your home or office. A Johan Pretorius original is created to endure when other material property has been discarded and forgotten, and it will remain a treasured investment that will be passed down to your children, and to their children. Although you might think that the work of this calibre is affordable only to a few fortunate people, we offer a range of options, and we are confident that there is one to suit your unique needs. 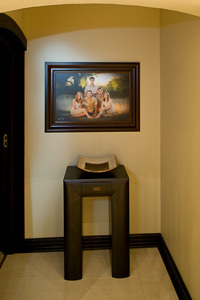 We want you to be certain that the portraits Johan Pretorius will create for you will meet your every need. We guarantee all of our work for a lifetime against fading or discolouring. If you are not absolutely satisfied with your images, we will refund the cost of your session. 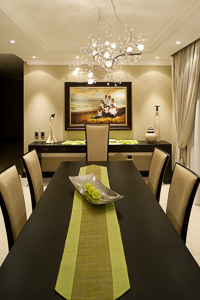 The mission of Johan Pretorius Photography is to create art for the walls of your home or office. Photo enlargements are made with K3 ultra chrome archival ink on 280 g/m2 semi matt photographic paper. All printing is done in-house for ultimate quality control. We use the latest 17″, 24″ and 44″ Epson printers together with the Epson range of papers and inks. Royal Finish prints are specially coated to provide waterproof, scratch-proof and UV resistant photographs with a unique texture. Royal Finish prints are usually framed without a mounting board or glass covering, and provide a fine painterly effect. Canvas prints provide a true painterly effect with a prominent canvas texture. These prints are made on the finest quality canvas with archival pigment inks and are sprayed with a UV lacquer varnish that has a life span of 125 years against fading. Canvas prints are framed without a mounting board or glass. 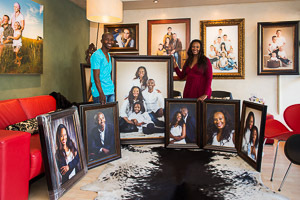 There is a world of difference between having your family portraits taken by a professional photographer, and the casual photos taken at family events with a cell phone or ordinary camera. A true professional photographer like Johan Pretorius uses world-class photographic equipment and has the experience and expertise to operate cutting-edge photographic equipment efficiently and effectively. Johan Pretorius is an artist, and he uses his cameras like professional painters use their brushes. He applies his highly trained eye and experience to ensure that all the elements that make a photograph a piece of durable fine art, work together. He pays particular attention to perfect lighting, colour coordination, composition and timing. There is no comparison between a professionally photographed portrait and a casual photograph taken by a friend or family member!